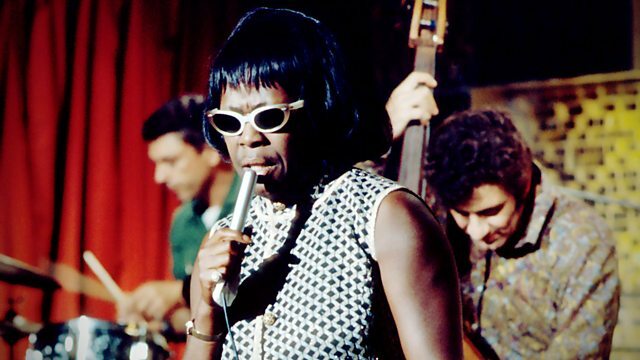 Documentary celebrating some of the greatest female jazz singers of the 20th century, including what it took to be a jazz diva during a turbulent time in America's social history. A celebration of some of the greatest female jazz singers of the 20th century. It takes an unflinching and revealing look at what it actually took to be a jazz diva during a turbulent time in America's social history - a time when battle lines were being constantly drawn around issues of race, gender and popular culture. The documentary tracks the diva's difficult progress as she emerges from the tough, testosterone-fuelled world of the big bands of the 30s and 40s, to fill nightclubs and saloons across the US in the 50s and early 60s as a force in her own right. Looking at the lives and careers of six individual singers (Billie Holiday, Ella Fitzgerald, Peggy Lee, Sarah Vaughan, Nina Simone and Annie Ross), the film not only talks to those who knew and worked with these queens of jazz, but also to contemporary singers who sit on the shoulders of these trailblazing talents without having to endure the pain and hardship it took for them to make their highly individual voices heard above the prejudice of mid-century America. This is a documentary about how these women triumphed - always at some personal cost - to become some of the greatest artists of the 20th century, women who chose singing above life itself because singing was their life. Check out our BBC Music playlist - music from Nina, Ella, Billie & more.